Fork Life & Spoon | Group holistic nutrition programs. Boost your skills around seasonal, clean eating. Kickstart each season with a 21 day clean eating program and get your body back into balance. In this holistic nutrition intensive course you will learn simple and speedy techniques to create healthy recipes and meal plans without stress. Benefit from ongoing support from me as well as the added motivation of the group. Let’s set things in motion! Each season brings its joys and challenges both physically and emotionally but with the right tools and a bit of support it is easy to get back on track! 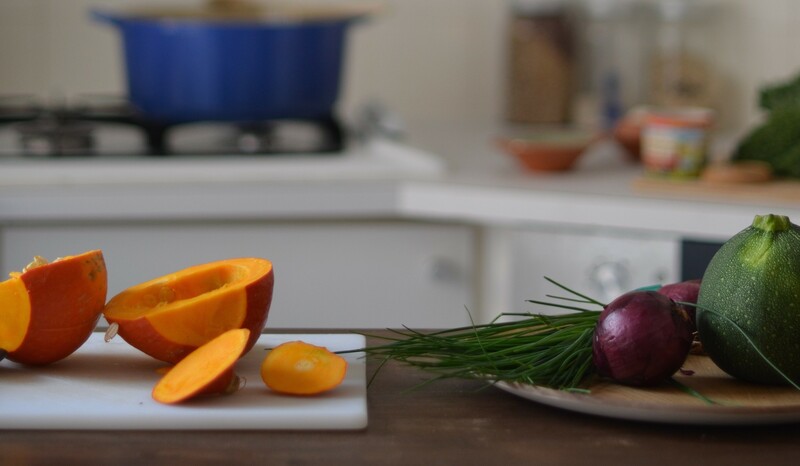 Over three weeks we will explore how different cooking methods change the effects that food can have on your body and talk about ideal food combinations for sustained energy and improved digestion. I am generally not a fan of drastic cleanses or detoxes which are restrictive and often leave you feeling a bit depleted. This gentle three week Calibration course is the perfect way to get a taste of how impactful ( and enjoyable!) your food choices can be. For 21 days you will be eating delicious whole foods free of allergens, major inflammatory triggers, refined sugar and processing. invigorating your food buying and preparation skills – even the most seasoned cook can get it a rut! Getting sick is a natural and necessary response of the body, but treating yourself well can dramatically affect the length and severity of your symptoms. We will learn how to fortify our system as the days get shorter and the cold winter tests our strength physically and psychologically. After the well deserved indulgence and subtle stress of the holiday season, it is time to turn our attention inward and find the foods and self-care practices that support our health and energy needs in the winter season. How do we return gently to those healthy patterns we have perhaps let slide? Goodbye winter! The spring calibration course is offered at a time of year when everything seems to be waking up all around us. Expect a menu of fresh, colorful, and raw foods that make you feel lighter and brighter! The next Calibration course begins in Cape Town on August 1st! All classes will take place Wednesday mornings ( August 1, 8,22) at my home in Sunningdale. The cost of the program is 750 ZAR. Come with a friend and you both receive a 15% reduced rate. For more information please get in touch below! Participer au "calibration d'automne" pendant 3 semaines a changé ma façon de cuisiner. Je comprend beaucoup mieux la valeur de la nourriture, l'importance et l'impact que ça a sur moi au quotidien. Malgré la distance et les décalages horaires, mon expérience avec le groupe a été très simple grâce a la bonne communication de Jamie et des autres participants. Aussi faire partie d'un groupe qui expérimentait la même chose que moi a été définitivement une façon de découvrir une meilleure façon d'approcher les aliments et d'expérimenter en cuisine. Aujourd'hui je suis d'autant plus consciente de ce que j'ai dans mon assiette et je remercie Jamie mille fois pour m'aider a prendre soin de moi. Jamie's approach to the Calibration program made for a really inspiring and fulfilling few weeks. What I had felt would perhaps be overwhelming has now become a really manageable and sustainable relationship with food and all that comes with that. A hugely rewarding and totally manageable challenge, the Fork Life & Spoon Autumn Calibration was just the push I needed to reconnect with my physical well-being! I've continued putting it all into practice with little effort, and feel amazing for it.